There are many causes of motor vehicle accidents. When the accident involves a tractor-trailer, the size and weight of the truck are just two factors contributing to the severity of injuries. Drivers of smaller vehicles do not always think about how a tractor-trailer or other large commercial truck performs on the roadway. Because of this, drivers often treat these large commercial trucks the same as another smaller vehicle. Unfortunately, there are several differences between tractor-trailers and a passenger vehicle that make this a dangerous practice. Size. A tractor-trailer can weigh up to 80,000 pounds, making it roughly 16 times heavier than the average passenger car. The impact can cause devastating injuries ranging from disfigurement to traumatic brain injuries, spinal cord injuries, paralysis and more. Braking Ability. A tractor-trailer — or any large commercial truck — traveling 60 miles per hour needs approximately 350 feet to come to a stop. Putting this in perspective, that would be more than the length of a football field. Maneuverability. Because large trucks need more time and space to stop or change course, they are harder to maneuver than a normal passenger vehicle. Cargo. Tractor-trailers carry large, heavy cargo that can become loose if not secured properly and can affect the maneuverability of the vehicle. In addition, some tractor-trailers haul dangerous loads that are flammable, explosive or hazardous. Jackknife. A jackknife truck accident occurs when the cab of the truck stops, but the trailer does not, causing the trailer to whip around, creating an L or V shape. Rollover. A rollover accident typically is caused by factors such as overloading, speeding, abrupt movement, bad weather and/or road conditions. Once a truck begins to tip over, there is no way to control it and surrounding motorists can become trapped. Underride. This type of accident occurs when a vehicle slides under the container of an 18-wheeler and becomes trapped beneath it. Override. 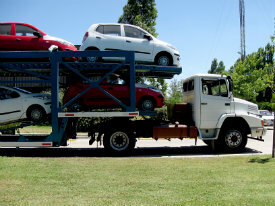 This type of accident occurs when a truck drives over the back of another vehicle, often crushing the vehicle’s roof, causing serious injury to all passengers in that vehicle. Rear-end collisions. Large commercial trucks require space to stop. When traffic has slowed or suddenly stalled, tractor-trailers may not have enough time to stop resulting in rear-end collisions. Why do you need an experienced truck accident attorney? 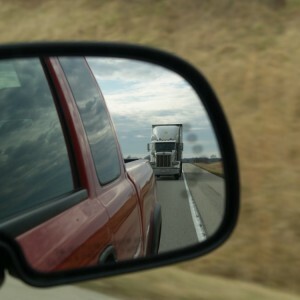 Truck drivers and trucking companies are subject to state and federal regulations. You need an attorney familiar with the trucking laws as well as personal injuries to build a case that will ensure you receive the maximum amount of compensation possible. The truck accident attorneys at Nash & Franciskato have the skills and resources needed to fully investigate your truck accident. We gather evidence from the truck’s electronic data recorders, on-board computers and more. We investigate the accident scene and can bring in expert resources when needed. In the Kansas City area and across Missouri, when you have been seriously injured in an accident with a tractor-trailer or other large commercial truck, you need a trusted resource who will fight for your rights. Contact the experienced truck accident attorneys at Nash & Franciskato for a free, no-obligation evaluation of your case.